Shantou Jinping Huayi Aluminum & Plastic Product Co., Ltd.
Shantou Yale Plastic Industry Co., Ltd.
Shantou Jiaban Packaging Material Co., Ltd.
Shanghai Kaijin Packaging Products Co., Ltd.
Shanghai Eugeng International Trade Co., Ltd.
Shanghai Fengqi Industrial Co., Ltd.
Hangzhou Shibaofei Imp And Exp Co., Ltd.
Guangzhou Ouxinmay Packaging Co., Ltd.
Guangzhou Sanrong Material Packaging Co., Ltd.
Shantou Yu Dong Packaging Products Co., Ltd.
Yiwu Oriental Bamboo & Wood Packaging Ltd.
if you want with customized logo, first time also free, but freight will be on your account. C. samples with customized logo, then we will charge labour cost and ink cost. If you have your own ship forwarder, we will use your ship forwarder to delivery goods. Guangzhou Zoemir International Cosmetics Co., Ltd.
Dongyang Omi Plastic Technology Co., Ltd.
Shantou Bloom Cosmetic Packaging Co., Ltd.
Q: Can you provide the samples to check9 A: Yes, we will send you the stock samples for your reference first. Q: Do you accept customized9 A: Yes, we can make product as per your requirement. We can offer the professional transport scheme for your reference if you need. 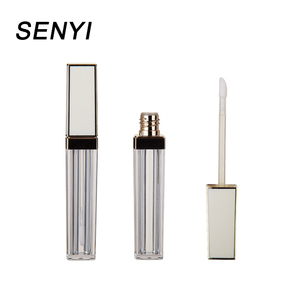 Shanghai Hejing Plastic Product Co., Ltd.
Shantou Jinping Meixin Plastic Co., Ltd.
Nanjing OMG E-Business Co., Ltd.
Shantou Yingye Plastics Co., Ltd.
Our main product include lipstick tube, lipgloss tube, mascara tube, eyeliner tube, powder case, eye shadow case, cream jar and skin care packaging. Good Quality & Good Price & Best Service is our tenet, based on this principle, our products sold to the Europe. America, The Middle East and other countries&hellip; Any more products pls visit our website: . Shantou John's Starlight Technology Industrial Co., Ltd.
Guangdong Kelmien Plastic Co., Ltd.
Shantou Beautypack Plastic Co., Ltd.
Alibaba.com offers 629 lipgloss containers with applicator products. About 52% of these are packaging tubes, 4% are lip gloss, and 3% are bottles. 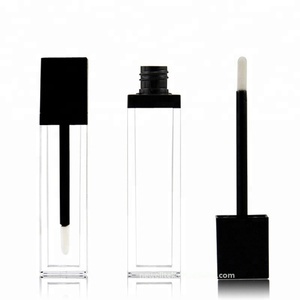 A wide variety of lipgloss containers with applicator options are available to you, such as free samples, paid samples. There are 549 lipgloss containers with applicator suppliers, mainly located in Asia. The top supplying countries are China (Mainland), Taiwan, and South Korea, which supply 98%, 1%, and 1% of lipgloss containers with applicator respectively. Lipgloss containers with applicator products are most popular in North America, South America, and Eastern Europe. You can ensure product safety by selecting from certified suppliers, including 42 with ISO9001, 31 with Other, and 4 with ISO14001 certification.